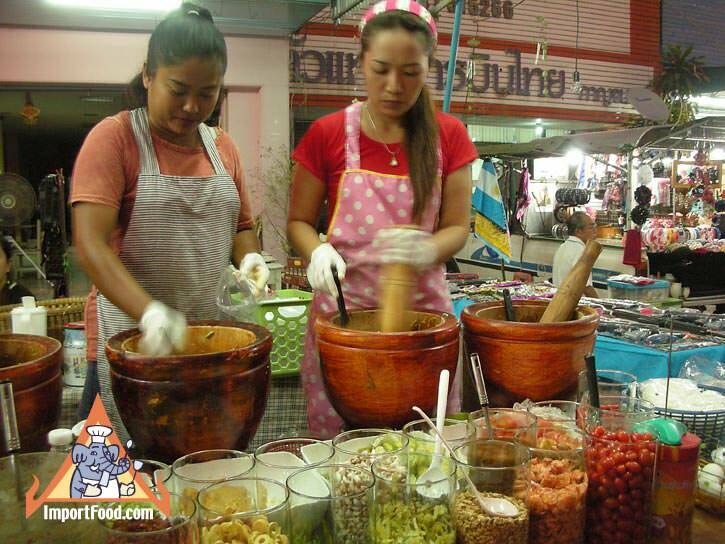 At a weekend market in Kanchanaburi these ladies start at 6:00 PM, making som tumthat's a huge success because of the number of ingredients offered. 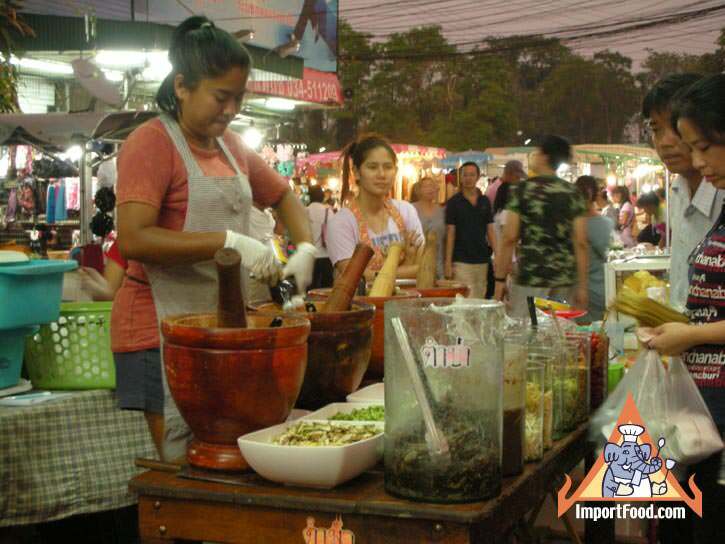 This is no ordinary som tum. Pounded together using a large mortar and pestle for som tum. 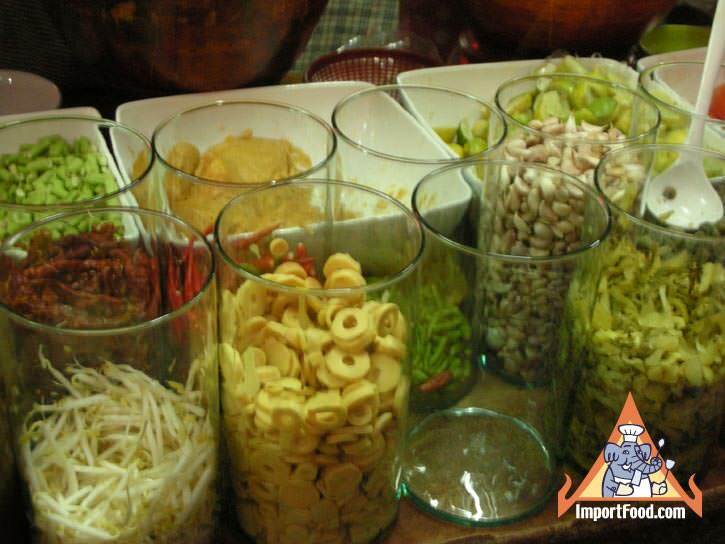 They'll make it with your choice of ingredients which are nicely displayed in the Thai tall glass containers. 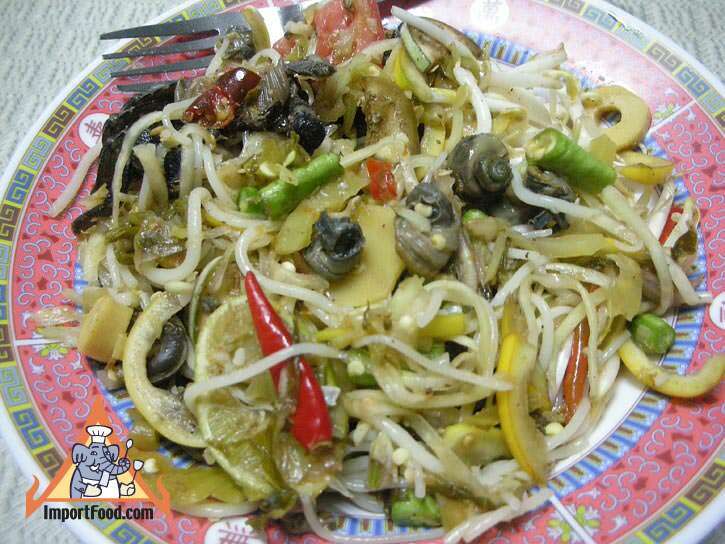 Khanom Jin noodles, fresh Thai eggplant, fish sauce, palm sugar, pickled mustard green, pickled mud fish, long beans, sliced fresh tomato, Thai chile peppers, pickled clams, bamboo shoots, and fresh lime slices. 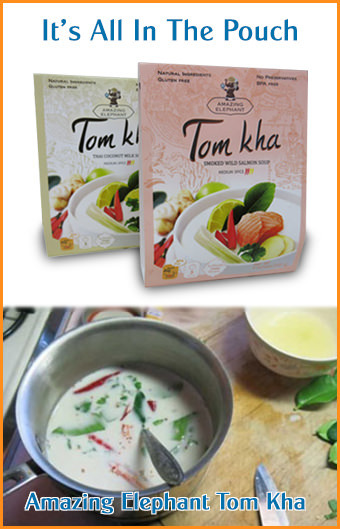 A modern, fresh and creative way to prepare classic Som Tum.